At the edge of the forest lies a small Woodville town. One day the town became shrouded in mist and no one could pass through. Citizens began to disappear, one by one and fear gripped the town. The city immersed into darkness and despair quickly spread. There is no way out and those who left for help never came back… However hope still lies within one orphaned child. Shadows may have taken his parents and his only friend, but it was unable to take his courage. Walk through the fear and darkness to restore his family. 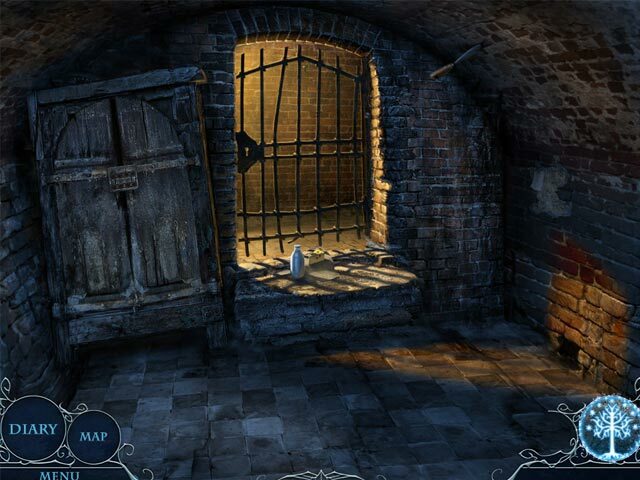 Unravel the mystery of the Shadows and free the town from their dreadful fears! 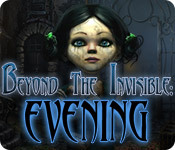 Beyond the Invisible: Evening is rated 3.3 out of 5 by 69. Rated 5 out of 5 by smilingsun72 from Five Stars! Loved it! Completed: This is a hidden gem of a game. I loved that it doesn't have all the bells and whistles that most BFG's have but it's still very well done. Even though I had to read and watch the cut scenes to get the story I was captivated and wanted to know more. 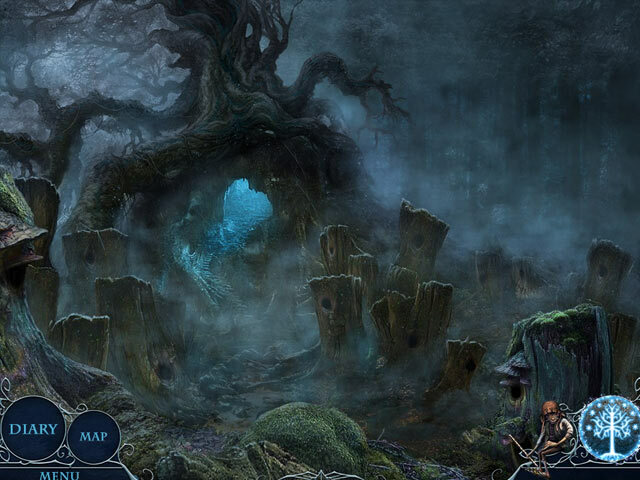 The graphics are well suited for the theme of the game. The music was unobtrusive. 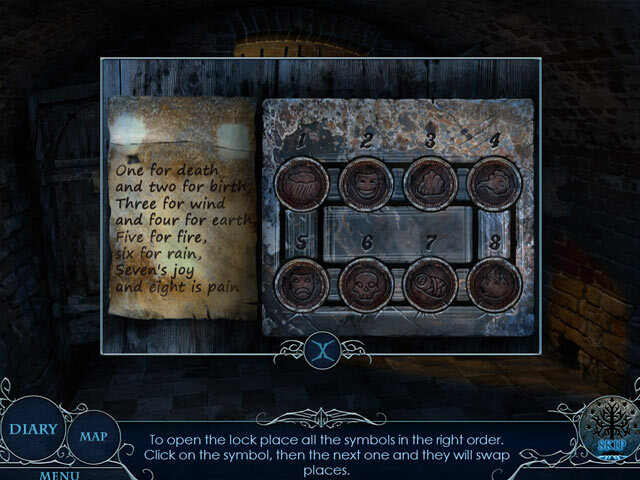 I liked that there are a galore of puzzles to do and lots of tasks to complete. The map was helpful because I could travel to the area where a task need to be done. I found that though game appears gloomy it wasn't that much at all because I don't like really gloomy games. I highly recommend this game! Rated 5 out of 5 by Deejaycee522 from Great HO Game I was surprised this game turned out to be so much fun. First look makes you think the game is too spooky, but it is not. I enjoyed the game because there is so much to do. It is more than just an HO game. There are a lot of objects you need to find to get useful items to use to advance through the game. There is a hint button if you get stuck and I use it a lot. Rated 5 out of 5 by pearlmimi from different and nice Nice ,long enough game. A lot of go back and for but easy with the map if you are tired of it and want a easier play. Rated 5 out of 5 by genieart09 from Delightfully dark ... This one I really enjoyed...Delightfully dark and confusing enough to keep me playing non stop.. Rated 5 out of 5 by ushie15 from Strange and beautifully disturbing Playing this game is like entering a dream world; you play as an orphaned little boy who is determined to save the sad little girl who knows how to stop the nightmare. The art is beautiful, the music and sound effects are like those you hear in a lucid dream, the puzzles are varied and play to different reasoning strengths, and the plot unfolds like a story-dream--it connects in that peculiar and unnerving way that your dreams do. I loved it and hope for more games like this. Rated 5 out of 5 by grumpylawyer from This is an awesome little game This game doesn't have awesome graphics, but there is something about it! I had to figure out every step, and to me that is a great game! Rated 5 out of 5 by kitty_hero from A big adventure of a little boy At first, I was most struck by the main character - a little boy, an orphan. It is so touching and unusual. His dialogues are not devoid of humor and will opened a character of the little hero. This is a real street urchin, but in his heart he is kind and helpful. The next discovery was the city itself - it does not look like at the usual. In this city in the shadows and fog is really lurking fear. At first it seems that it is similar to "save the girl" story, but it is not. Not exactly. Or even not. I think the story is more interesting than it seems at first look. Rated 5 out of 5 by blueteal44 from A refreshing change This game is a change from all the general games as it looks ho hum when the opening is going but then has really great graphics and an interesting story. Rated 5 out of 5 by LaComtesse from Charming! I don't review games very often, as I prefer to save my reviews for the small games that might be overlooked. This is one such game. I found it truly charming, and actually quite challenging, although not in the usual puzzle type way. The lack of "chatter" by characters and sound effects was refreshing, and remind me a bit of games such as "Alone". I had to frequently refer to the map, as to where to go and what to do next, and enjoyed having to really "think". All round a lovely game that was a delight to play. I recommend it highly. Shadows-kidnappers have arrived! Unravel the mystery of the Shadows and free the town from their dreadful fears!